I remember when I was younger, a child around 5-6 when friends would gather on long Summer days and figure out what we wanted to do for the day. Almost always the game of ‘Hide and Seek’ would be at the top of the list. 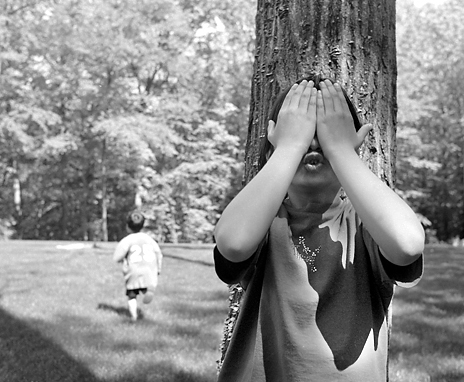 ‘Hide and Seek’ is a game which a number of players conceal themselves in the environment, waiting to be found by one ore more seekers. The game is played by one player who is designated as “being it”, that would count out-loud to a predetermined number while the others hide. After reaching the number, the player who “is it” tries to find the other players. I must confess that I just wasn’t very good at this game, I just wasn’t artful enough to stay hidden for long stretches of time; eventually either my mouth or my always poking my head out from my hiding place found me out! In the same way, the false prophets at that time actually believed that anything they did would never be found out. The major problem was, that these were spiritual leaders and were under a greater scrutiny than the deception they pulled off on the peoples, making them think that a ‘local’ god would overlook their sins. This becomes a warning to the false prophets that they cannot hide from God. Unlike the localized deity that is easy to avoid, the Living God is inescapable. He is transcendent, beyond consciousness, omnipotent, all powerful, omnipresent, He’s everywhere. Because of these qualities God possesses, there is nothing we can get by Him that He has not seen or heard. God has heard all the lies including the lies of the false prophets. Jesus warns that in our own time there will be deceivers out to draw you away from the truth of who God is , and that truth is founded upon Jesus Christ. There are two things of importance here. Note that the false prophets are enemies of God and that they have a purpose, that of causing the people to forget even the name of God. There is nothing innocent about such men, whether in the days of Jeremiah or at the present time. David recorded in Psalm 139 that it didn’t matter to God where David was, God already knew it. David knew all about hiding. He spent many years in the wilderness hiding form King Saul who was out against David to kill him. And yet, no one touched David because David was a man after God’s heart, and because of that God was watching David, to protect and provide for his needs. Sometimes we feel that we’re just not getting accomplished the things we’d like to do. And maybe we don’t want to trouble God over trivial little things in contrast to all that God does sustaining and maintaining our lives. But guess what? God wants you to know that He wants to get more involved in your life, helping you in the struggles you may be facing. God was not happy with the false prophets that thought they could get away with deceiving people to believe in something that wasn’t true. Jehovah Elohim is His Name and He is the ‘Always Existent One, who continually reveals Himself”. God wants us to choose Him for what we need, ask Him for what we desire, and live for Him who loves us. What a comfortable thought, ‘I Am God at hand….Not Far Away! No matter WHAT you’re considering, going through, when you’ve reached the end, gone as far as you can go, God is at hand, not far away……..wanting and waiting for you to ask Him to help you!